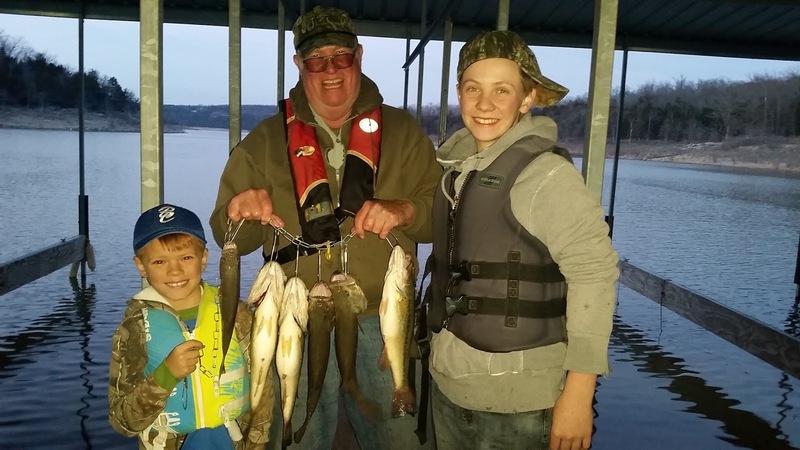 Norfork Lake fishing is getting better and better. 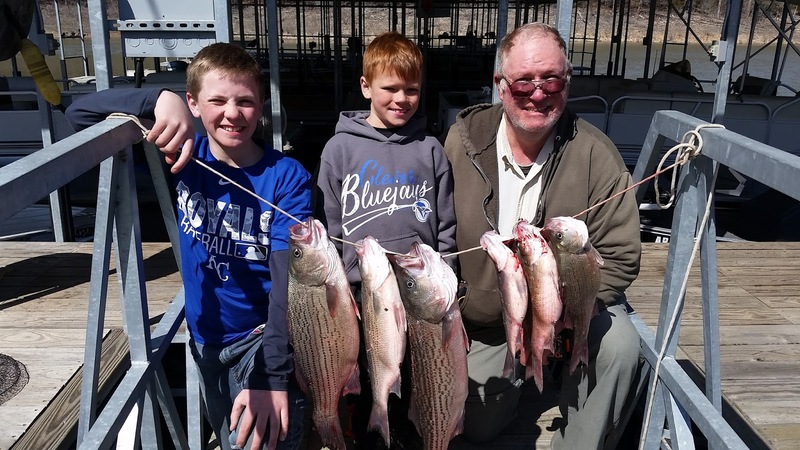 Spring is in the air and the fish have sensed it! Walleye should be spawning. White bass are at the beginning stage of their spawn. The crappie spawn will not be far off. 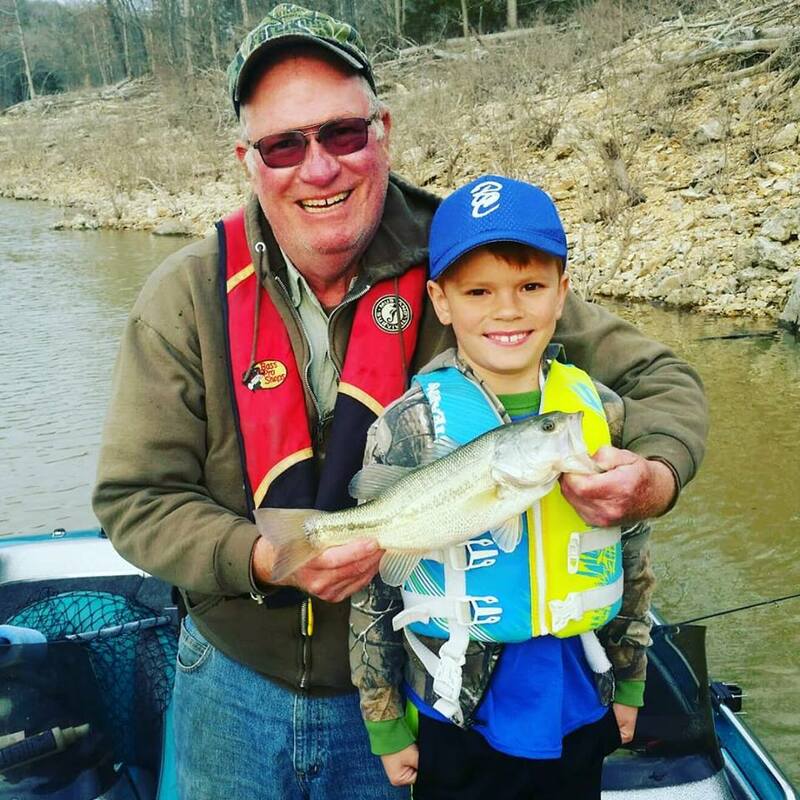 Largemouth will start to stage with a little increase in water temperature. Norfork Lake is in great shape and the fishing patterns are becoming similar to prior years. suspended up in the water column. The warmest water is typically holding the most active fish. Bennetts Bayou, and all the major creeks should be holding fish, as well as, Big Creek in the southern portion of the lake. As you head into the creeks the water will gradually get warmer the farther back you go. 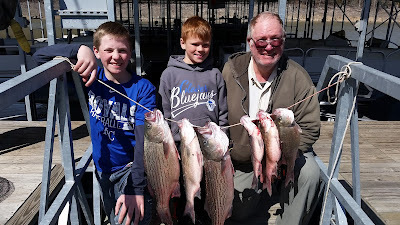 Today I had a guest with his two grandsons land some nice hybrids, using shiners back in Bennetts. 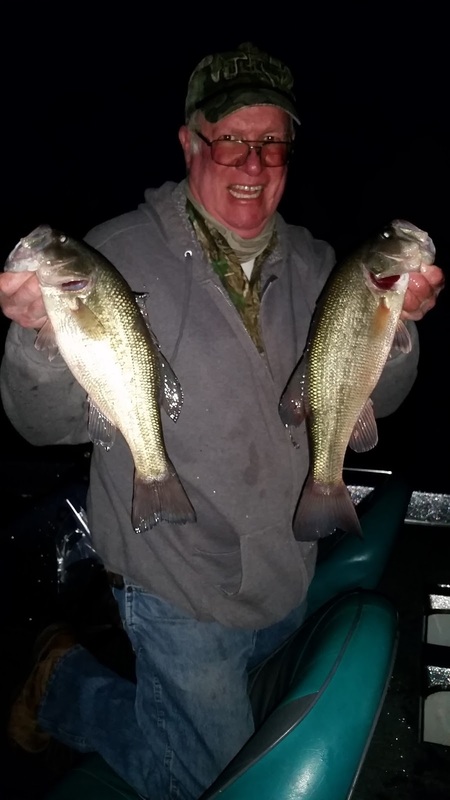 He then went into shallower water and started to cast out an A-Rig and landed both hybrids and big white bass. 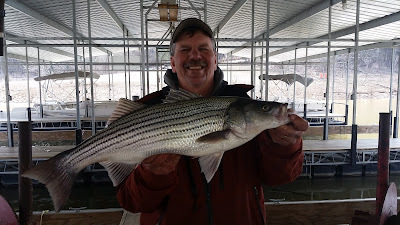 Two days ago I was fishing the same area and landed 3 nice striped bass all on shad. 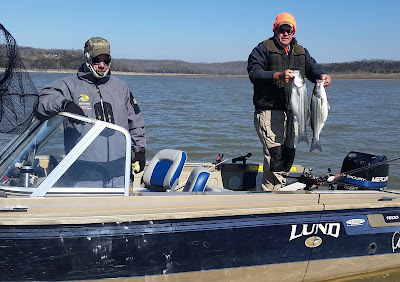 As the water continues to warm the fish will get more active and fishing will get real exciting. White bass are really close to their spawn if not already doing it. I have been catching the small males in the backs of creeks for the last week, but the catch today of the larger females tells me the white bass run should be in or close to full swing. The upcoming warmer weather, towards the end of the week should have the whites going crazy. Small spinners and blade type baits are two very good baits to catch the whites this time of year. Fish the backs of creeks and up river in the Calamity to Udall area. The bass bite has been really good for my guests over the last week. 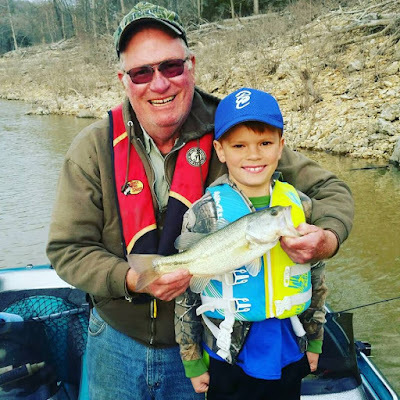 The pattern that they found was to go about halfway back into coves off of the main lake and fish the banks with a crank bait. Red was the color they had the most luck with and they found lipless, square bill and regular bills were all catching fish. 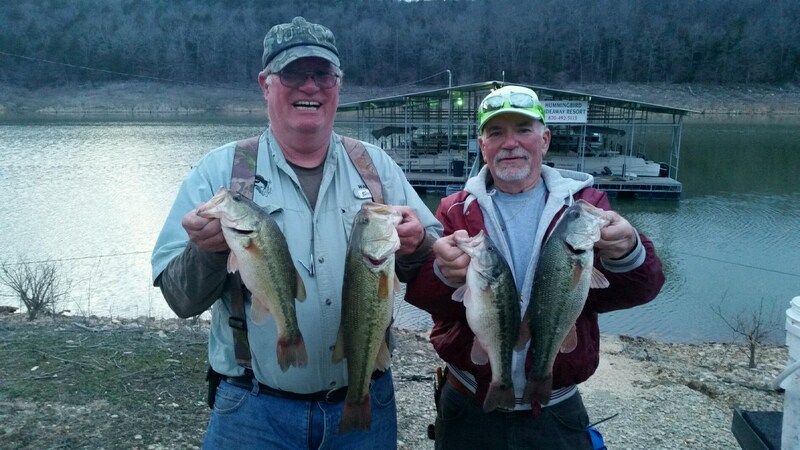 They were landing over 10 - 12 keeper size fish each day. 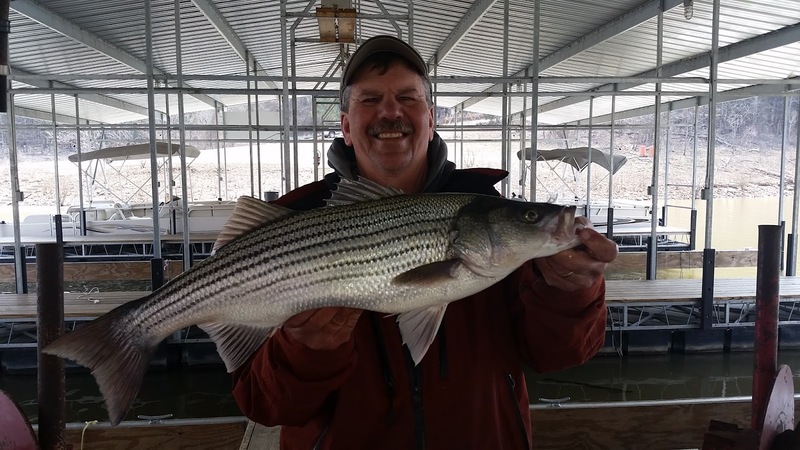 There were alot of smaller ones being caught as well, but this is very normal.The best area for my guests was from Cranfield to past Red Bank. The color of water really did not matter. 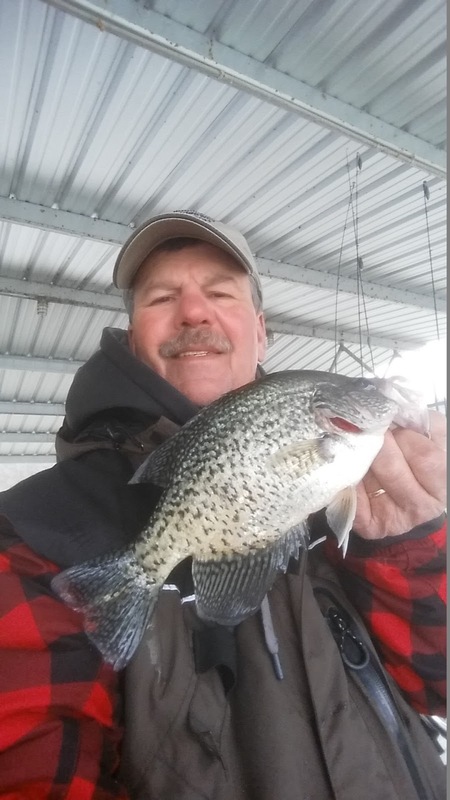 Crappie fishing is in transition. I found some nice crappie back in Fall Creek yesterday in about 25 feet of water lying on the bottom. I had to keep one since it wouldn't swim away but otherwise was releasing my fish. When the sun comes out they move up in the water column. Spoons, small jigs and live minnows are all working. The crappie I cleaned was full of eggs and you could tell it was very close to spawn. I will hazard a guess and say that in the next week or so you can start working the banks with a small Roadrunner and will catch some nice fish. This is also assuming the weather is stable and the water temperature continues to rise. Norfork Lake level is holding fairly stable and currently sits at 553.21 feet above sea level. The surface lake temperature ranges from 49 degrees up to 53 degrees depending on where you are on the lake. The water clarity varies depending on your locations. The water is still slightly light brown from Hummingbird's cove to around Red Bank area. Most other areas that I have been to are stained to clear. The mid lake creeks yesterday were as clear as I have seen in quite a while.